Most of us are all too aware of the power that a tiny handful of the superrich now has to influence the law of the land. So just what are they doing with this power, while most of the media look away? 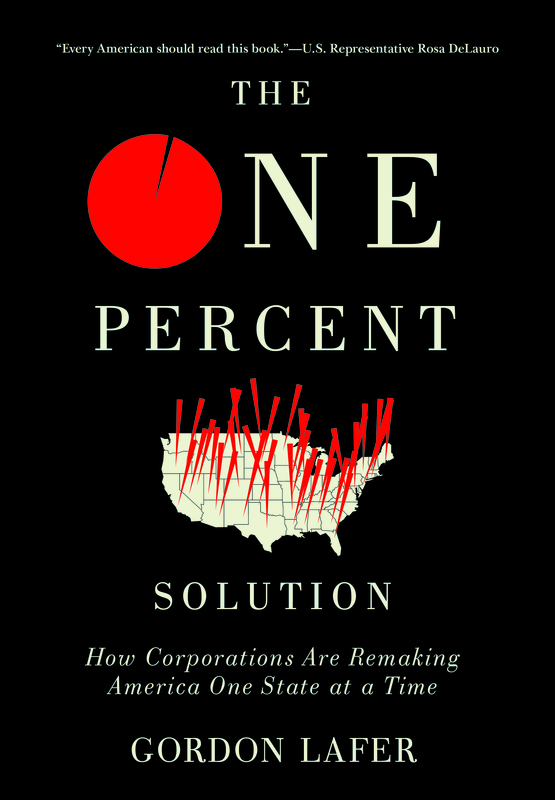 Gordon Lafer reveals the answers in The One Percent Solution, a comprehensive account of how corporate lobbies across all 50 state legislatures are eroding labor rights, deepening inequality and ultimately threatening democracy. Get your copy of this vital book by making a donation to Truthout now! In the following excerpt from The One Percent Solution: How Corporations Are Remaking America One State at a Time, Gordon Lafer looks at how lobbyists and the state lawmakers they influence have rushed to pass legislation that protects corporate power from the people. While corporate power may be more impressive than ever, there is one key battle that the country’s business elites have failed to win: they have not been able to convince the voting public that their platform makes sense. On the contrary, polling shows that the public is deeply suspicious of the corporate project and, on specific issues, is often in sharp disagreement. Eighty percent of Americans — including 72 percent of Republicans — believe that the Supreme Court’s Citizens United decision was a mistake. In the summer of 2015, likely voters ranked the disproportionate political influence of corporations and the wealthy as their single most urgent concern. More than 60 percent of Americans believe that “the economic system in this country unfairly favors powerful interests.” Even during the years of recovery following the Great Recession, two-thirds of the public believed the government was helping the major banks, big corporations, and the wealthy while doing little or nothing for the middle class. The public’s view of what should be done to address these problems presents a dramatic challenge for the corporate lobbies. A majority of the country in 2015 favored capping the incomes of corporate executives, and two-thirds called for raising taxes on the very rich. More than two-thirds support eliminating the carried-interest loophole in order to tax hedge-fund managers at the same rates as everyone else. Nearly 70 percent of the country says the government should do more to reduce the gap between rich and poor. And the list of what people think the government should do must read like a nightmare script for the corporate lobbies. Nearly three-quarters of the country — including a majority of Republicans — supports immediately raising the minimum wage to $10.10. A strong majority wants to expand unemployment insurance for the long-term jobless. Eighty percent of voters believe employers should be required to provide a minimum number of paid sick days to all workers. When asked about principles rather than specific programs, public opinion is diametrically opposed to that of economic elites. Policy prescriptions long since written off by elected officials are common sense to the American public. Just over half the country, for example, supports the view that “our government should redistribute wealth by heavy taxes on the rich,” and six in ten favor “national health insurance, which would be financed by tax money.” More than half believe “the federal government should provide jobs for everyone willing to work who cannot find a job in private employment,” and nearly 80 percent say the “minimum wage should be high enough so that no family with a full-time worker falls below the official poverty line.” More than two-thirds of the country supports the principle that the “government must see that no one is without food, clothing, or shelter,” and a majority believe the government should guarantee a “decent standard of living” for those unemployed…. Having so far failed to win the public’s hearts and minds, the corporate lobbies have sought to protect their privilege by enacting laws that make it harder for populist sentiment to be translated into action. At the individual level, they have sought to limit the ability of aggrieved workers or consumers to challenge corporate actions through the means normally available to a democracy’s citizens. One of the distinguishing features of democratic societies is the right of ordinary citizens to seek judicial redress of illegal acts by the rich and powerful. Corporate-backed legislation, however, has served to create a system of increasingly unequal access to the courts. It has become increasingly common for employees to be forced — as a condition of employment — to waive their constitutional right to sue over unlawful termination in favor of addressing all complaints to an internal, employer-dominated arbitration process. So too, employers increasingly demand that new hires sign noncompete agreements, barring them from working in similar jobs upon leaving their current firm. Such restrictive covenants have been demanded for an increasingly wide range of jobs, including gardeners, barbers, fast-food workers, and camp counselors.When a Massachusetts hairstylist fell out with his boss and left to work at a nearby salon, he was taken to court and ultimately forced to spend a year living on unemployment benefits, in constant danger of eviction, before being permitted to take another job in his field. “It was pretty lousy that you would take away someone’s livelihood like that,” he complained. In arguing against occupational license requirements, ALEC’s Economic Civil Rights Act insists that Americans have a fundamental “right to earn an honest living” and calls for a private right of legal action for any individual whose career is stymied by unnecessary licensing requirements. It appears, however, that this right does not apply when it conflicts with employers’ interests. Thus, in 2015, a trio of ALEC-affiliated Wisconsin state legislators introduced a bill — supported by the state Chamber of Commerce — to repeal the requirement that noncompete covenants be “reasonably necessary for the protection of the employer,” granting firms wider power to restrict their employees’ market freedom and legal rights. The corporate lobbies’ opposition to a private right of action in policing wage theft and other workplace rights is particularly striking, given their avid promotion of such a right in multiple policy arenas aimed at undermining workers’ bargaining leverage in the labor market. Under ALEC’s Economic Civil Rights Act, any individual has the right to sue — and recover attorneys’ fees — if a state or local government provides services that could be provided more cheaply by a private contractor, or if a state maintains licensing requirements that the individual believes are unnecessary. Similarly, the organization’s Right to Work Act creates a private right of action for employees who believe they have been unfairly required to share in the costs of negotiating their union contract; they are entitled to injunctive relief, damages, and attorneys’ fees. ALEC further urges that any taxpayer have the right to sue, including recovering costs and attorneys’ fees, if a government agency uses a Project Labor Agreement. If public employees’ union dues are paid through electronic payroll deductions, and any portion of these is used for political communication, ALEC demands that employees have a private right to sue for recovery of double damages (along with attorneys’ fees). Thus the corporate political agenda includes one-sided access to the courts, in which citizens are free to file suit to undermine labor standards but not to enforce them. Most important, corporate lobbies have sought to create a system of selective democracy in the very process of lawmaking itself. From 2011 to 2015, twenty-two states established new laws making it more difficult for citizens to vote. Typically, these laws target lower-income residents; in 2016 a primary election analysis found that Democratic turnout was significantly hampered in the states that adopted such laws. Even further, states are explicitly restricting citizens’ ability to vote for policies opposed by corporate interests. In several policy areas, corporate legislation creates one-way doors that allow citizens to vote only for one type of policy outcome. So-called parent trigger laws, for example, typically allow families to vote to convert a public school into a charter school but not the reverse. If, after several years, parents conclude the decision was a mistake, they have no right to vote to convert the charter back into a traditional public school. More commonly, corporate advocates promote state laws that prohibit towns or counties from voting to adopt progressive statutes. At the simplest level, corporate advocates have sought to restrict citizens’ ability to set tax policy. ALEC’s Super-Majority Act argues that “the ability to raise taxes should be made as politically difficult as possible.” On the basis of this model, seven states now require a supermajority in both chambers of the legislature in order to raise taxes or establish new taxes. The NFIB has issued a call for states not only to adopt such restrictions but also to prohibit localities within the state from raising their own taxes. So too, corporate-backed legislators have moved to suspend democratic rule in cities deemed fiscally irresponsible. In Michigan, such a process was imposed over the explicit objection of voters. Legislators approved a 2011 law empowering the governor to appoint “emergency financial managers” for cities in fiscal crisis, with the appointees’ authority superseding that of all elected officials. In November 2012, this law was overturned by a popular referendum. The next month, however, legislators dismissed the voters’ will and adopted a slightly revised version of the bill, reinstating the power of emergency managers; this time, they added a modest appropriation so that, under Michigan law, the act could not be invalidated by referendum. Above all, the corporate lobbies have sought to shrink the scope of democracy by denying citizens in urban areas the right to vote on establishing local economic standards. Corporate power is greatest at the level of state legislatures. As noted earlier, few people know the names of their legislative candidates, much less what they do. Thus, modest sums of money go a long way in swaying elections. Because every state has cities within it that are more progressive than the state as a whole, local government has become a prime location of pushback against the corporate agenda. As an ALEC representative explained in 2014, “The biggest threat comes from the local level. So one solution that ALEC has passed is state legislation that preempts the polities within the state from raising the minimum wage higher than the state level.” At ALEC’s 2014 legislative conference, one avid member explained that local school boards and city councils may take away liberties even faster than the federal government. “We need to stomp out local control,” Utah senator Howard Stephenson declared. In this spirit, ALEC, the Chamber, and allied groups have worked everywhere to block the authority of city councils or municipal referenda to improve workers’ rights. In 2011, Indiana prohibited any of its cities or counties from voting for a minimum wage higher than the state’s own — which is itself no higher than the federal minimum — and Wisconsin made it illegal for localities to establish a right to paid sick leave. By the end of 2015, eight more states had prohibited minimum-wage increases, and twelve had abolished the local right to vote for paid sick leave. These laws have attracted some of the most vociferous corporate lobbying. In Florida, for instance, the Chamber of Commerce was joined by the Manufacturers Association, the Restaurant Association, Darden Restaurants, and the Disney Corporation in helping pass a bill that bans both minimum-wage laws and any right to paid or unpaid sick leave. Preemption has become a favorite tool for blocking a wide range of local ordinances. In Fayetteville, Arkansas, the city council in 2014 adopted an ordinance — opposed by the local Chamber of Commerce — that banned employment discrimination on the basis of sexual identity or orientation. The following spring, Little Rock followed suit. In response, Arkansas’s legislature in 2015 adopted a statute prohibiting any locality from establishing anti-discrimination standards stricter than the state’s own and retroactively invalidating those set by Fayetteville and Little Rock. In Dearborn, Michigan, the city council recommended budget cuts that included a significant reduction in the number of police and firefighters. Because a previous city ordinance had mandated minimum staffing levels for protective services, the budget cuts required voter approval — which was not forthcoming. To ensure other cities would not face similar constraints, state legislators adopted a statute making it illegal for cities to establish minimum staffing levels for police or fire service. Over time, states have enacted increasingly broad preemption statutes, constricting local democracy even further. The Michigan Chamber of Commerce declared in 2015 that “mandatory paid leave initiatives are sweeping the country,” and warned that “we need to get ahead of this issue.”That year, the legislature adopted a bill labeled the “Death Star” by its opponents — prohibiting cities or counties from adopting any regulation governing wages, benefits, paid or unpaid leave, scheduling and work hours, or remedies for wage theft. Virtually the entire state business community — including the Chamber, Manufacturers Association, NFIB, Retailers Association, Restaurant Association, Bankers Association, Institute of Laundering and Dry Cleaning, Homebuilders Association, Grocers Association, and Associated Builders and Contractors — united in a successful effort to enact the bill. So too, Arizona’s 2013 omnibus preemption bill even prohibits establishing a right to meal breaks or rest periods for employees. In some places, there is literally a race between local activists seeking to institute wage increases and corporate lobbyists working to outlaw them. In 2015, Missouri legislators voted to preempt local wage or benefit standards, prohibiting any ordinance not already in place by August 28 of that year. City councillors in St. Louis and Kansas City raced to implement minimum-wage increases before the deadline. St. Louis made it; Kansas City did not. The corporate lobbies are thus engaged in an effort not only to reshape the economy but also to reshape democracy. Were a state to adopt the entire package of corporate-backed legislation, it would create a polity in which citizens can vote to prohibit the use of PLAs but not to require that they remain an option. Local residents could vote to turn a public school into a charter school or to undermine unions through local right-to-work ordinances but not to raise the minimum wage or establish a process to recover stolen wages. Individuals could sue for being made to pay union dues but not for being unjustly terminated. And legislators could vote to establish new tax breaks with a simple majority but would need a two-thirds vote to fund universal preschool. With each such bill that is adopted, corporate advocates are constructing a system in which the ability to address economic inequality through democratic means is increasingly restricted. This, then, is the legislative agenda of the one percent — a concerted, coordinated, well-funded attack by some of the richest individuals and most powerful corporations in the country. 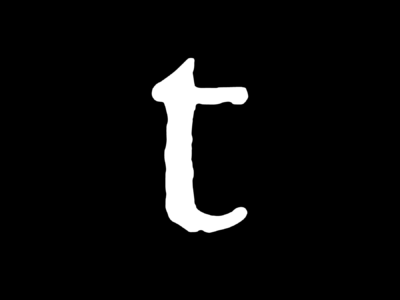 Its aims are to concentrate an ever-larger share of income and wealth in the hands of the most privileged, eliminate institutions that give working people leverage in the labor market, defund public services, lower expectations of what workers should be able to demand from their employers and citizens from their government, and shrink the reach of our democracy in order to lock in place unpopular policies and forestall a populist backlash. Copyright (2017) by Cornell University. Not to be reprinted without permission of the publisher, Cornell University Press. Gordon Lafer is associate professor at the Labor Education and Research Center at the University of Oregon. He is the author of The One Percent Solution: How Corporations Are Remaking America One State at a Time and The Job Training Charade, both from Cornell. He has served as senior policy adviser for the US Congress and has been called to testify as an expert witness before multiple state legislatures. ALEC’s drive to amend our Constitution has nothing to do with actual people and everything to do with corporate backers. Trump’s order would amend the Obama administration’s five-year drilling plan that excluded lease auctions in the Atlantic and Arctic through 2022.